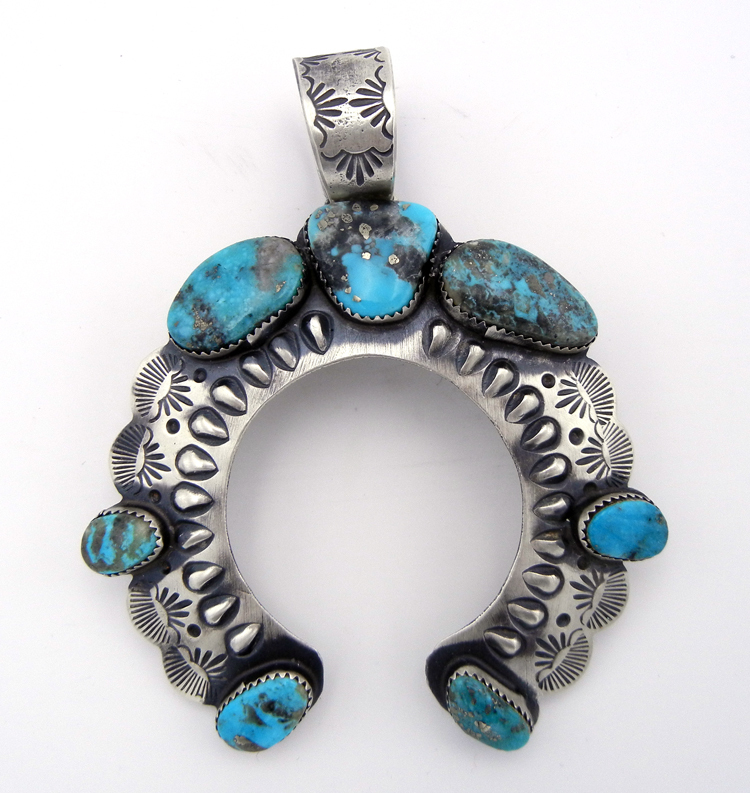 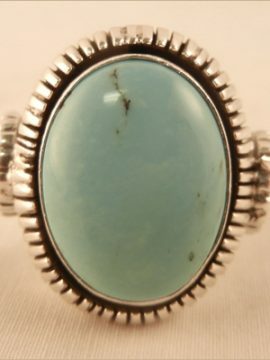 Seven turquoise pieces set in sawtooth sterling silver bezels and containing large portions of black and brown matrix are set along a large, sandcast sterling silver naja in this gorgeous piece by Navajo silversmith Shawn Cayatineto. 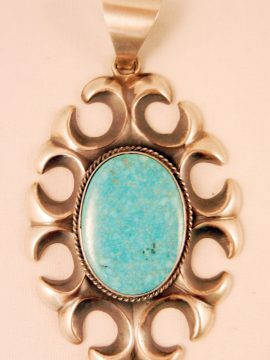 The surface of the piece is stamped with scallop and dot designs and respoussed along the inner portion with a row of sterling silver tear drop shapes. 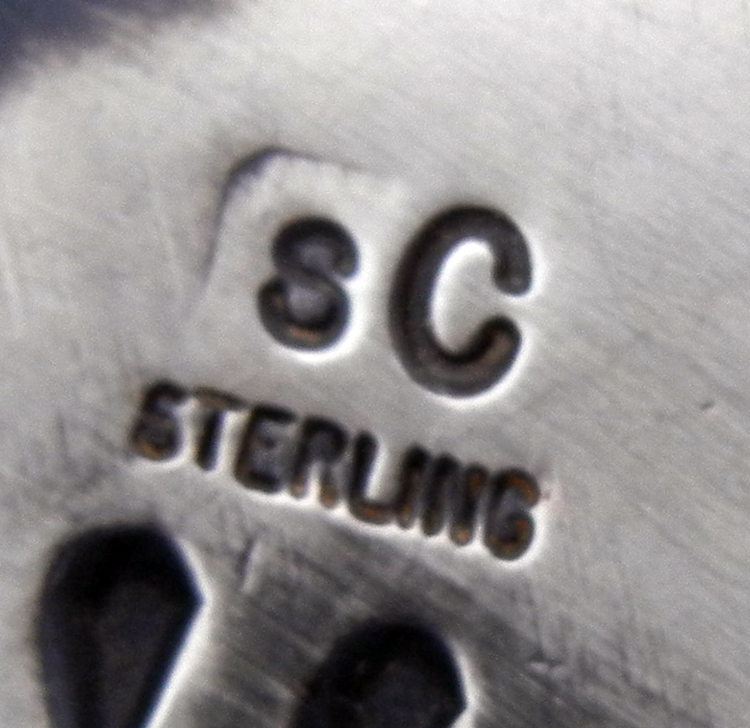 The bail of the piece is stamped with scallop designs, and brushed sterling silver gives the piece a vintage look. 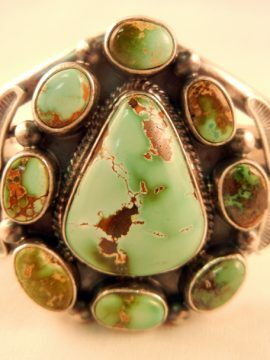 3 3/4″ long including bail x 3″ wide.